One of the most enjoyable qualities of a classic film festival is the opportunity to see some of your favorite classic films on the big screen. This may not seem like a big deal to my readers in Los Angeles or New York, where revivals and retrospectives occur so often they begin to be taken for granted. But residing in Atlanta, the opportunity to see films like King Kong (1933) and Rear Window (1954) at a beautifully designed movie house with great acoustics like the Classic Center is really something. Kong's was a little worn, but Rear Window's and William Wyler's Funny Girl (1968) - which I was pleasantly surprised I enjoyed, despite not being a big Barbra fan - were near immaculate prints. Robert Osborne is also an excellent host. You all know that, of course, if you watch him on Turner Classic Movies. Yet seeing him just wing it onstage, with his total command of movie trivia, as he introduces and conducts Q & As after each film is impressive. This man does not need researchers to provide him with his facts. He also seems to be very involved in the festival production, meaning he's not just a host lending his name for publicity purposes. His familiarity with the staff, guests, and festival programming decisions - such as including a vintage cartoon short with each film like Disney's Clock Cleaners (1937) and Warner's The Wild Hare (1940) - demonstrate how much he loves cinema and all of its mystique, something that excites this movie buff, and many others given the huge turnout at the festival. Yesterday's panel on independent film was also much better than anticipated. Despite being filled with many older faces, I have to eat my words from yesterday. They spoke about the "mumblecore" movement, "new media" distribution and other timely issues concerning our bailout economy's impact on the independent movement. I humbly apologize for underestimating this group. The most interesting and informative panelist was Gabriel Wardell, executive director of the Atlanta Film Festival. He had the most information to offer on the current state of independent cinema, and I'm now reconsidering visiting this year's Atlanta Film Fest. 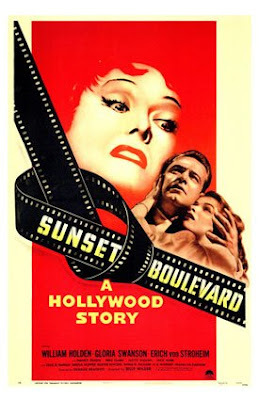 On today's schedule: Sunset Boulevard at 1:30 p.m. with special guest Alan Rode, a film noir historian; For Your Consideration (2006) at 4:30 p.m. with special guests Fred Willard and Michael Hitchcock, both in the film's cast; and lastly a never-screened print of The Godfather at 8:30 p.m. with special guest Talia Shire, who played Connie Corleone in the film. See you later with more on Talia Shire. All events at the 5th Annual Robert Osborne's Classic Film Festival take place at the Classic Center, 300 N. Thomas Street, Athens, GA 30601, (706) 208-0900 or (800) 918-6393.